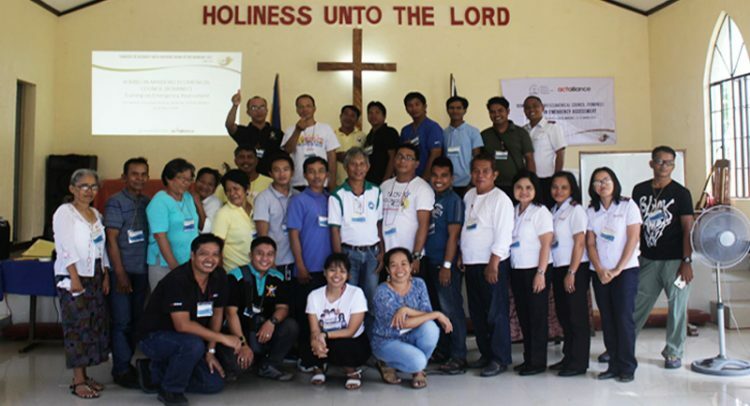 On March 22, church leaders and representatives of the Romblon-Mindoro Ecumenical Council (ROMINEC) formed up disaster risk reduction (DRR) committees in the provinces of Romblon, Oriental Mindoro, and Occidental Mindoro. This was held at The Salvation Army Nasucob Corps in Brgy. Nasucob, Bulalacao, Oriental Mindoro. “In the 32 years of ROMINEC’s existence, this is the first time for us to establish DRR Committees. Now it is high time for us to organize ourselves for disaster risk reduction as hazards are changing and our communities are becoming more vulnerable to disasters,” Rev. 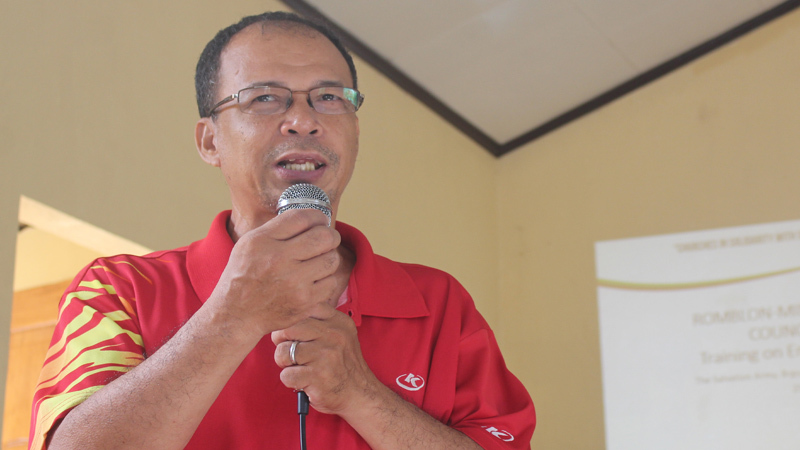 Herminigildo Allera of the United Methodist Church and ROMINEC Vice Chairperson said. Twenty-seven (27) delegates, consisting of lay and clergy representatives, gathered together for a two-day training on emergency assessment on March 21-22, 2018. This was organized by the National Council of Churches in the Philippines as part of its Disaster Risk Reduction program supported by Act for Peace. “NCCP believes in the capacity and potential of churches to contribute in the promotion and creation of culture of disaster preparedness and resilience in communities. It is important for us to tap those potentials and equip them for disaster risk reduction. 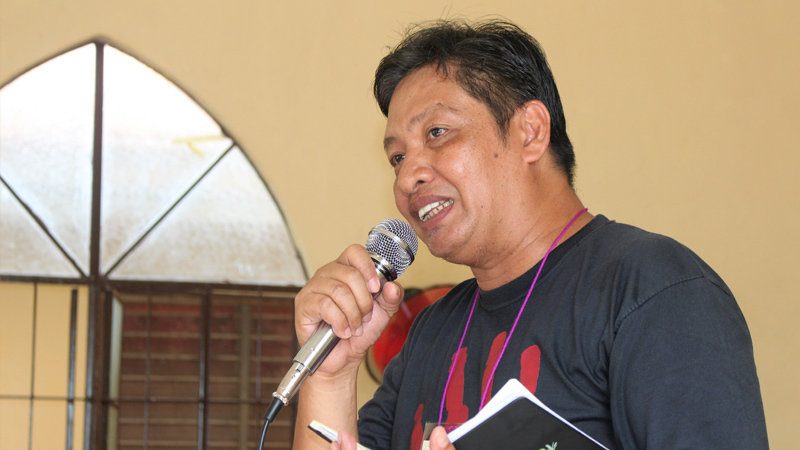 Through this, churches will be able to raise awareness and build the capacities, not only of their members, but also the communities they are in,” Edward Santos, the NCCP Education and Training Officer for Humanitarian Response shared. 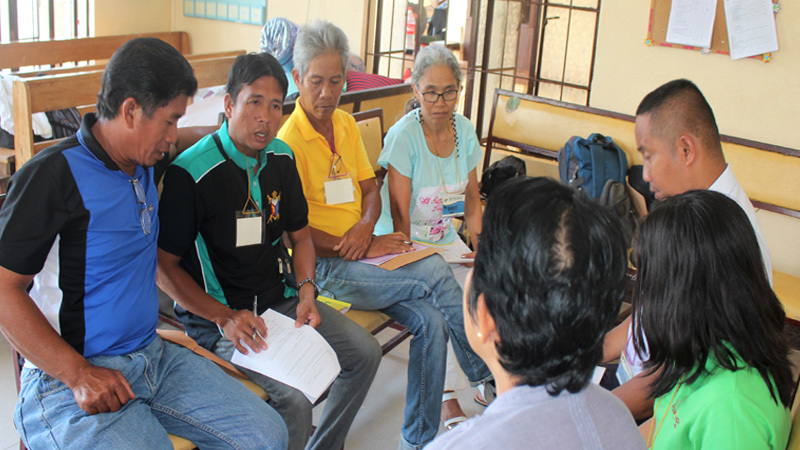 The Humanitarian Response component of the NCCP Program Unit on Faith, Witness, and Service aims to develop a pool of first responders to disasters among its ecumenical network. “The training on emergency assessment focuses on developing special skills among clergy and lay persons to identify and measure humanitarian needs in times of emergencies in order to provide appropriate and relevant response. The training also familiarizes the participants on the different tools used for assessment and the various types of emergency need assessment. Actual simulation of emergency contexts was also held to reinforce the skills and knowledge of the participants. The Emergency Assessment training is just one of the special trainings that proceed a series of capacity-building activities on disaster risk reduction and management (DRRM),” Mr. Santos explained. “There is still so much to do in terms of reducing the risks and vulnerabilities, and building the capacities and strengths of the communities in Romblon-Mindoro. We are thankful to NCCP for continuously supporting the mission and goals of ROMINEC,” Rev. Allera said. The Romblon-Mindoro Ecumenical Council (ROMINEC) is a regional formation of NCCP member churches and ecumenical partners in the provinces of Oriental Mindoro, Occidental Mindoro, and Romblon.